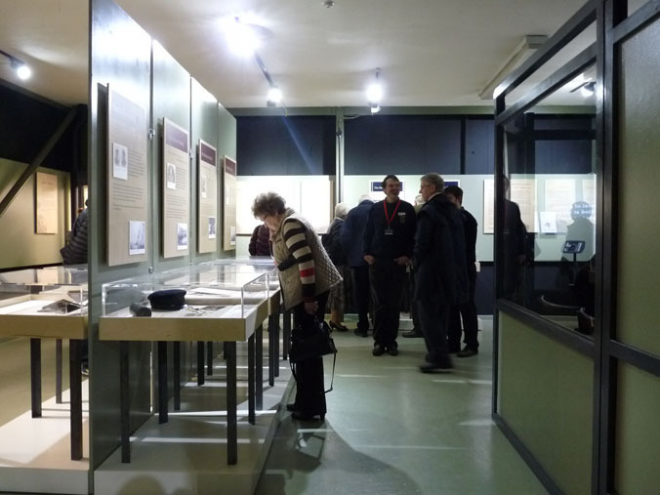 On Sunday 10 April, our touring exhibition Next of Kin officially opened at Grampian Transport Museum. 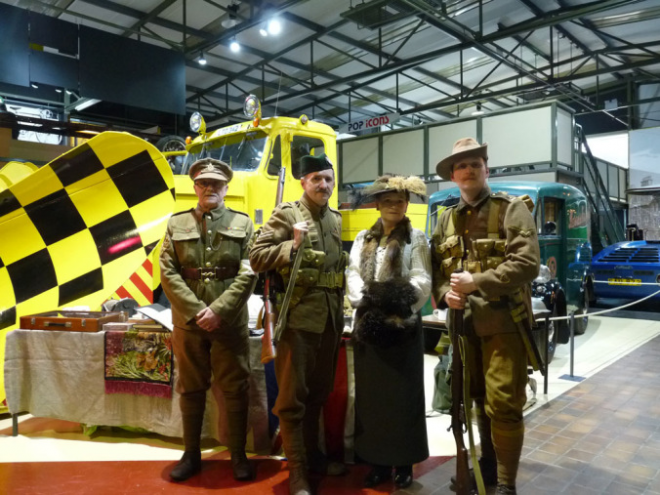 In their version of the exhibition, two fascinating stories of local families are joined by a variety of striking First World War related vehicles. Grampian Transport Museum’s Next of Kin display, with a cinema room on the right. With the core of Grampian Transport Museum’s collection made up of vehicles, the museum relied on loans from the local community to source their family stories from the Aberdeen and Grampian region. In the end they decided on two personal accounts that reflect the hardship of the front lines, the anxiety felt at home and the power of the conflict to bring people together. 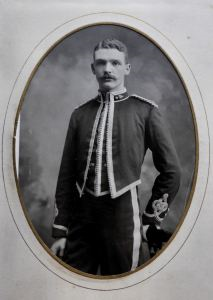 Frank Fleming in the uniform of the 1st Aberdeen Volunteer Artillery before the conflict. Colonel Frank Fleming was in command of the 255th Brigade Royal Field Artillery of the 51st Highland Division when he was posted missing in action during a rapid German advance on the Western Front in April 1918. His family at home in Aberdeenshire had an agonising wait for definite news of his death or capture. Finally in mid-May came confirmation that he was wounded and a prisoner of war at Beeskow camp in Germany. His story will be told for the first time through personal effects from the camp and correspondence from the Front. 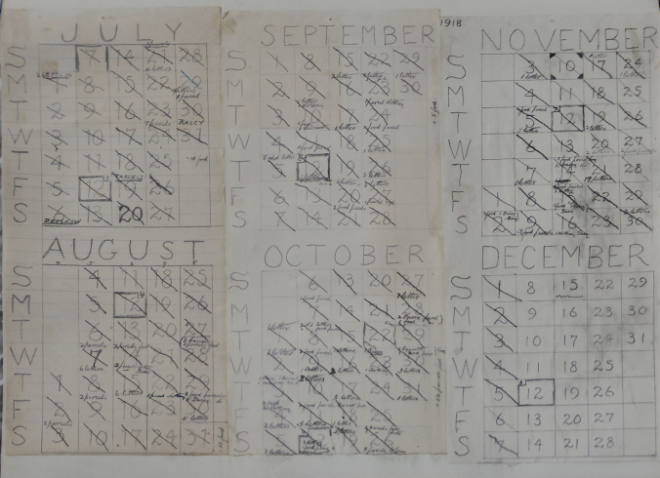 Calendar used by Fleming during captivity to keep the date, since prisoners were denied access to this information. Canadian Lieutenant James Humprey’s story will also be told for the first time. Humphrey was wounded in action and evacuated to a hospital in London where he met Violet Harvey and was invited to spend Christmas with her family in Aberdeenshire. Back at the front Humphrey was awarded the Military Cross for gallantry. He kept in touch with Violet’s family and they married in 1937. Personal artefacts on display include a photograph from his stay in hospital and a newspaper account of his Military Cross award. 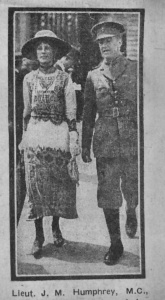 Newspaper image of Humphrey and Violet. 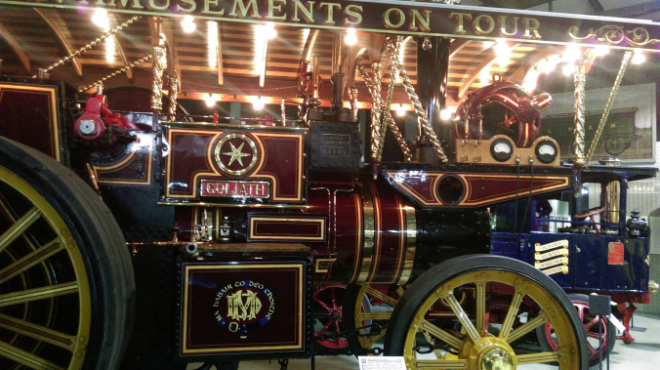 Grampian Transport Museum have a number of vehicles with strong connections to the conflict, the largest being the appropriately named ‘Goliath’ McLaren Showman’s Locomotive. This massive engine spent the earlier part of its life pulling heavy machinery on the Western Front. Goliath locomotive on display next to the exhibition. 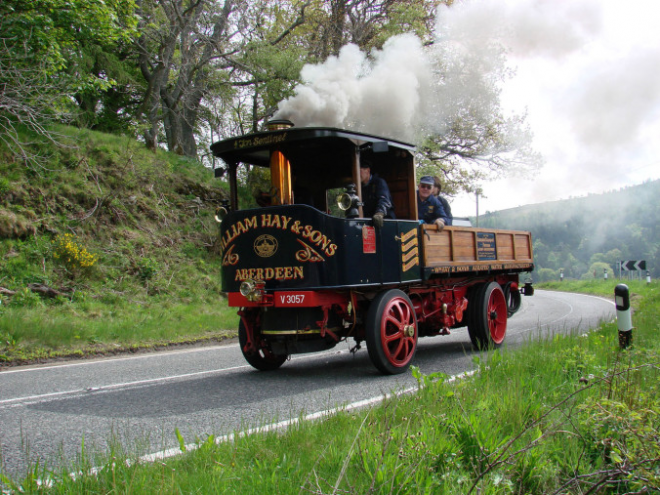 The museum’s sentinel steam waggon, the subject of an earlier post, was used by its Inverurie carrier from 1916 to transport schoolchildren on picnic outings, building morale in the local community. On 15 July outings will be recreated on the museum circuit to commemorate the centenary of these trips. Sentinel steam waggon in operation after being restored to working order. Details about this event and others, including a screening of the 1916 film The Battle of the Somme, can be found on the Next of Kin website here. The variety of historic talks and handling activities promise to give a fascinating insight into the local impact of the conflict and the personal experiences of families and serving troops. Next of Kin is on display at Grampian Transport Museum until 31 August 2016. Scots in the Great War Living History Society at the exhibition opening.